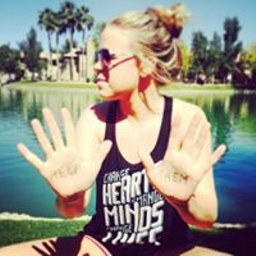 Our mission is to support and empower those affected by sexual abuse, exploitation or violence in relationships. -	To stop violence against women and children. -	To move low income women and children out of poverty. -	To promote the legal rights, justice, and services for women and children. Everyone has a right to feel safe. Help to shatter the silence on sexual violence in our community. 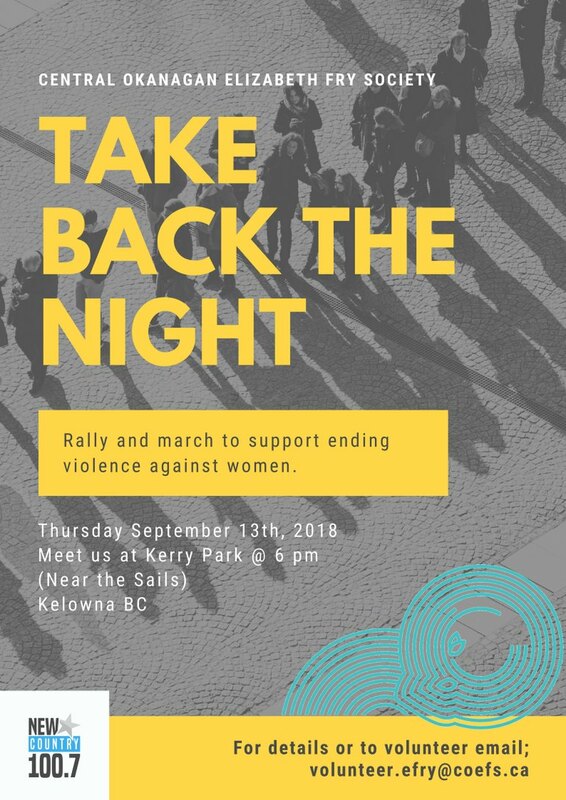 Join us on September 13th at 6:00, in Kerry Park, for the annual TAKE BACK THE NIGHT-RALLY AND MARCH. Help to shatter the silence on sexual violence in our community! 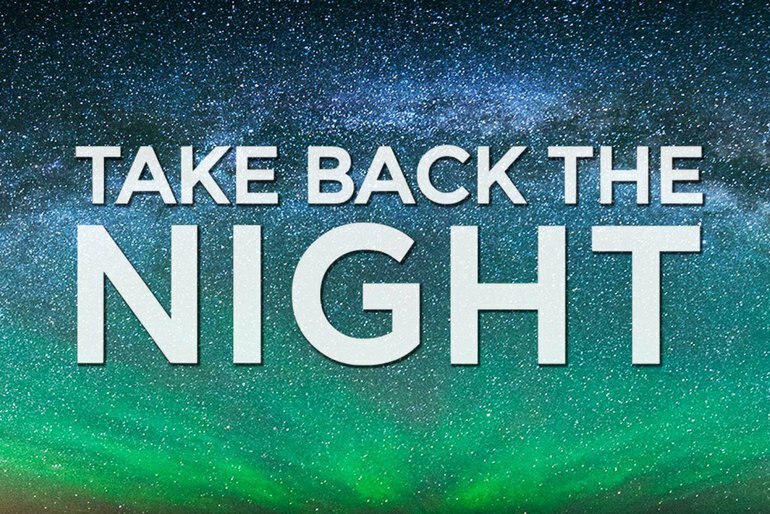 VOLUNTEER at Central Okanagan Elizabeth Fry SocietyTake Back the Night Rally and March taking place September 15th, 2016 at 6:30pm in Kerry Park. We should all feel safe in our community - men, women and children. I moved around a lot growing up and saw my parents volunteer and get involved in the community everywhere we went. That was likely the first motivator that I recognized at an early age. 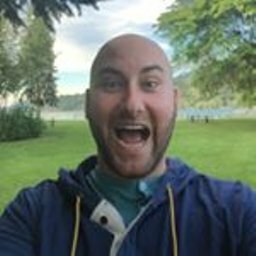 I also had a life-changing moment when I was 22 years old, at a marketing conference where I saw the philanthopist John Wood (Founder of Room to Read and author of Leaving Microsoft to Change the World) speak. This was my awakening. Only then did I truly grasp the gratitude that I now have for the circumstances I was born into. 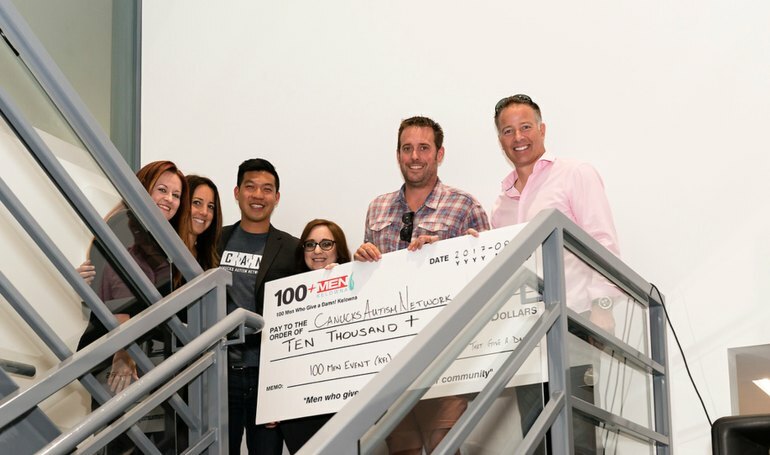 It was my realization then, that I had to take my place in this world and pay it forward. Since that moment I've traveled around Africa, India and Central America volunteering, while getting very involved in each community I've lived in as well. I care deeply about gender issues because I believe women hold up half the sky and it's vital to our evolution as a human race that our voices are heard on a fair and equal level. I have spent time in India working with women and adolescent girls, and have also spent time with executives and the elite 1% at board tables in the West, and it's appalling that inequality is still happening at all levels.